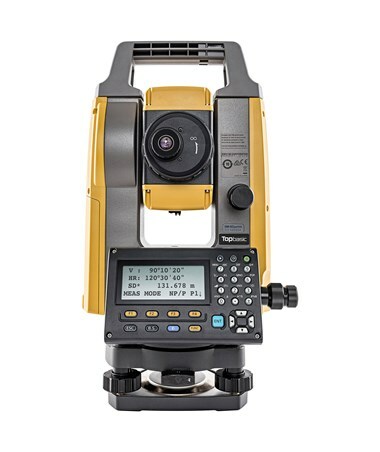 The Topcon GM-50 Series Reflectorless Total Station is a versatile entry-level surveying equipment that offers precise and quick angle and distance measurements. Equipped with phase shift technology, the GM-50 total has a reflectorless range of up to 1,640 feet and 13,320 feet using a single prism. In addition, it offers a reflectorless accuracy of 2 + 2ppm, making it ideal for various construction and surveying applications. 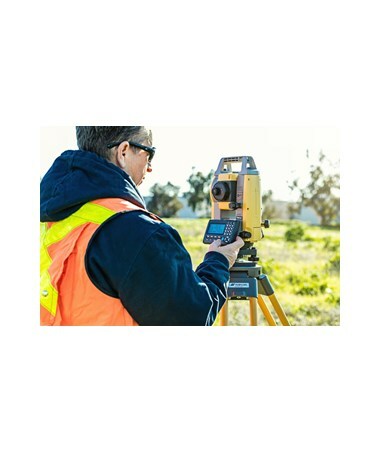 Featuring a coaxial red laser pointer, this Topcon reflectorless total station comes with a dual-axis compensation with a working range of ±6 degrees. It also integrates the exclusive Independent Angle Calibration System (IACS) to further increase measurement stability. The GM-50 offers 30x magnification and a 2.5-second resolving power. 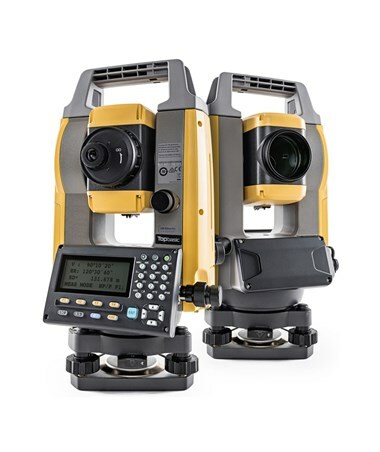 For data storage and transfer, this total station has a USB 2.0 port that supports up to 32GB standard thumb drives. With an IP66 rating, this Topcon total station is protected from dust and powerful water jets. It comes with a magnesium-alloy housing for durability and stable angle accuracy. The GM-50 also boasts a graphical backlit LCD display with a 28-key alphanumeric keyboard that is easy to use and navigate. A great companion for a whole-day job, the Topcon GM-5 uses a Li-ion rechargeable battery that powers up the device up to 14 hours. 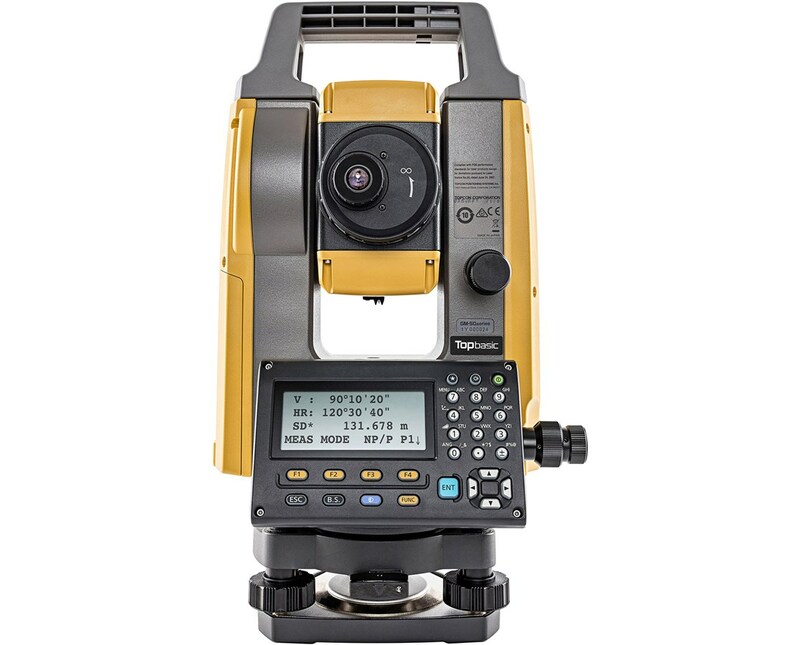 The Topcon GM-50 Series Reflectorless Total Station offers four models with different angular accuracies, display, plummet type, and connectivity. Please select your preference from the menus above.